French Wikipedian, sysop, oversighter, OTRS Agent. Jules78120 added a comment to T219237: Community request : Activate partial block on fr.wikipedia. Hi. There is already a phab ticket for this, created by Niharika from WMF staff: T219218. Jules78120 added a comment to T210739: Target deletion during page move fails. Jules78120 renamed T196681: Create a link to user Commons upload on last 'Record Wizard' step from yfbaaaaaaa to Create a link to user Commons upload on last 'Record Wizard' step. Jules78120 created T196681: Create a link to user Commons upload on last 'Record Wizard' step. Jules78120 added a comment to T184185: Hidden topics should be noindexed. Jules78120 closed T152420: Create a PDF presentation of the MOOC-platform project as Declined. Jules78120 closed T152420: Create a PDF presentation of the MOOC-platform project, a subtask of T151084: Create English documentation about the MOOC-Platform project, as Declined. Jules78120 closed T151084: Create English documentation about the MOOC-Platform project as Declined. Jules78120 closed T151084: Create English documentation about the MOOC-Platform project, a subtask of T150873: Create a MOOC platform for Wikimedia movement, as Declined. Jules78120 closed T151744: List deliverables for MOOC-Platform project as Declined. Jules78120 closed T151744: List deliverables for MOOC-Platform project, a subtask of T150873: Create a MOOC platform for Wikimedia movement, as Declined. Jules78120 closed T151093: List all needs for MOOC-Platform project as Declined. Jules78120 closed T151093: List all needs for MOOC-Platform project, a subtask of T151744: List deliverables for MOOC-Platform project, as Declined. Jules78120 closed T150873: Create a MOOC platform for Wikimedia movement as Declined. Jules78120 added a comment to T150873: Create a MOOC platform for Wikimedia movement. Thanks @Etonkovidova and @SBisson. It's nice if hidden SD topics have noindex. Jules78120 added a comment to T183686: Possible bug around WikiFunctions.Parse.Parsers. I didn't get this log report, and what you describe (disconnect, reconnect) doesn't work for me. Hi. Admins have no reason to delete a content which is not illegal: this would reduce the transparency that characterizes Wikipedia. This is a really important task, because for now we can't respect the right to be forgotten, and it's a big problem in some cases (I'm oversight and OTRS team member). Jules78120 awarded T184185: Hidden topics should be noindexed a Like token. I can connect to Internet with my Edge browser, yes. Jules78120 added a comment to T183772: Old Safari support. The webpage stays blank. The loading bar on the URL box dont move… Below, picture one of the users sent us. Hmmm, OK. Here is a screenshot of the error warning, if it can help. I have the problem described by Archimea, and I think the problem is specific to fr.wp. Jules78120 awarded T183686: Possible bug around WikiFunctions.Parse.Parsers a Heartbreak token. Jules78120 awarded T167006: Copypatrol is down for French and Spanish wikipedias a Like token. Jules78120 added a comment to T151084: Create English documentation about the MOOC-Platform project. First documentation in english available on meta: https://meta.wikimedia.org/wiki/WikiMOOC. Jules78120 added a member for Cuddle: Jules78120. Jules78120 added a watcher for Cuddle: Jules78120. 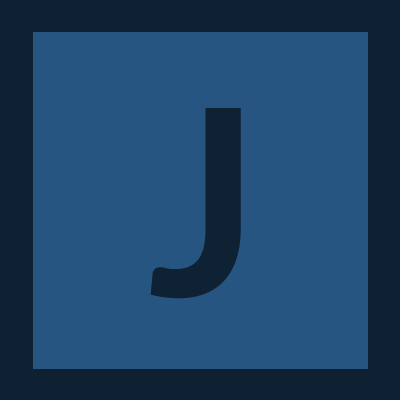 Jules78120 added a watcher for MOOC-Platform: Jules78120. 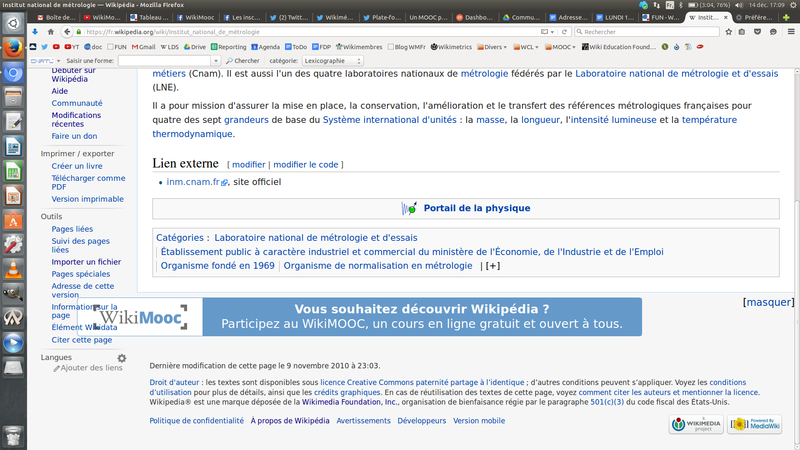 Jules78120 updated the task description for T150873: Create a MOOC platform for Wikimedia movement. Jules78120 awarded T150609: Support Yubikeys for 2FA on wikis a Like token. Jules78120 added a comment to T108811: DismissableSiteNotice uses document.write. We need the banner for the WikiMOOC that will be launch the 22 february. The banner will probably be on wikipedia one month or 15 days before the launch (i don't know exactly). But it will be in few months. Inscriptions have started and we have failed to put the banner for the inscriptions . And we expect we can put it for the next time. @Aklapper Do you think the priority could be review as "unbreak now" ? Jules78120 updated subscribers of T108811: DismissableSiteNotice uses document.write. Jules78120 added a subtask for T117281: Create a MOOC about French Wikipedia: T108811: DismissableSiteNotice uses document.write. Jules78120 added a parent task for T108811: DismissableSiteNotice uses document.write: T117281: Create a MOOC about French Wikipedia. Thibaut120094 awarded T117281: Create a MOOC about French Wikipedia a Pterodactyl token. 0x010C awarded T117281: Create a MOOC about French Wikipedia a Evil Spooky Haunted Tree token. Jules78120 created T117281: Create a MOOC about French Wikipedia.